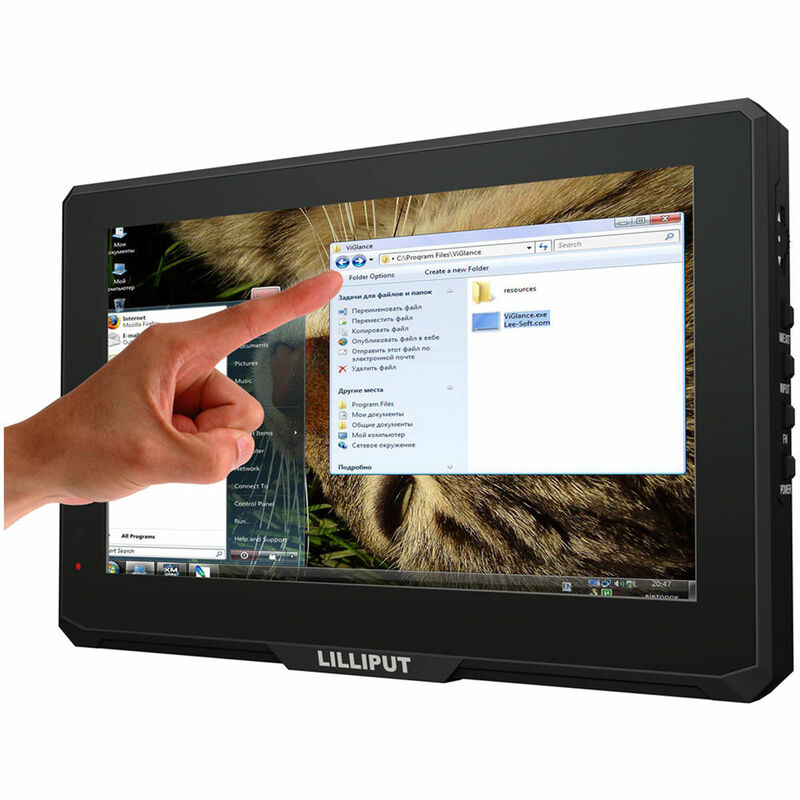 Add a touchscreen display to your system with the Lilliput 779GL-70NP/C/T 7"-Class Touchscreen LED Display. It supports up to 10 points of touch for image zooming and flipping, and has a native resolution of WVGA 800 x 480 with support for signals up to 1920 x 1080. With a brightness rating of 400 cd/m², a contrast ratio of 500:1, and horizontal viewing angles up to 140°, colors should appear clear in most installation settings. 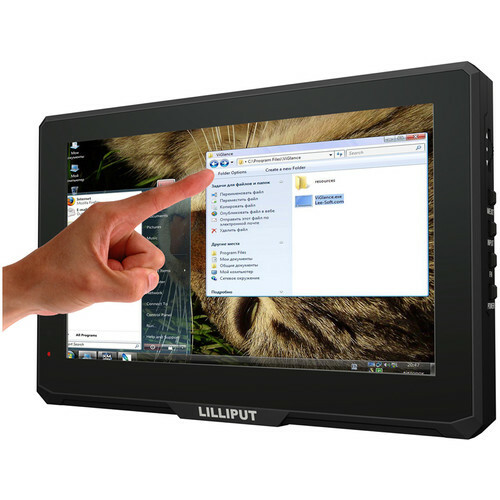 The monitor is equipped with HDMI, VGA, and 1/8" composite video inputs and includes a variety of cables for instant connectivity. Box Dimensions (LxWxH) 13.4 x 8.7 x 3.4"
Does it have focus peaking? Does it come with a hood? Does it have false color?